P4 enjoyed sharing our learning at assembly this week. We enjoyed showing off all of our model volcanoes that we made as part of our homework. 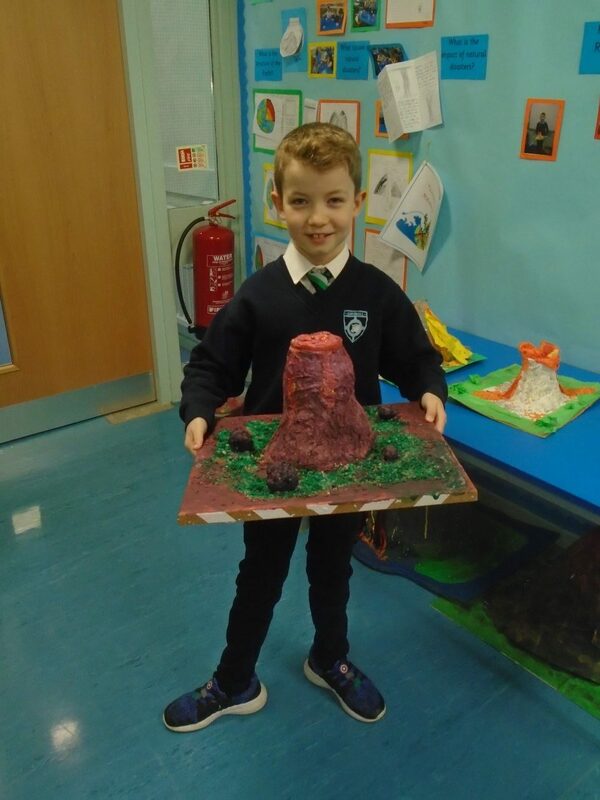 Another fabulous volcano added to our natural disasters display today from Robbie. Well done Robbie! We worked with a partner. 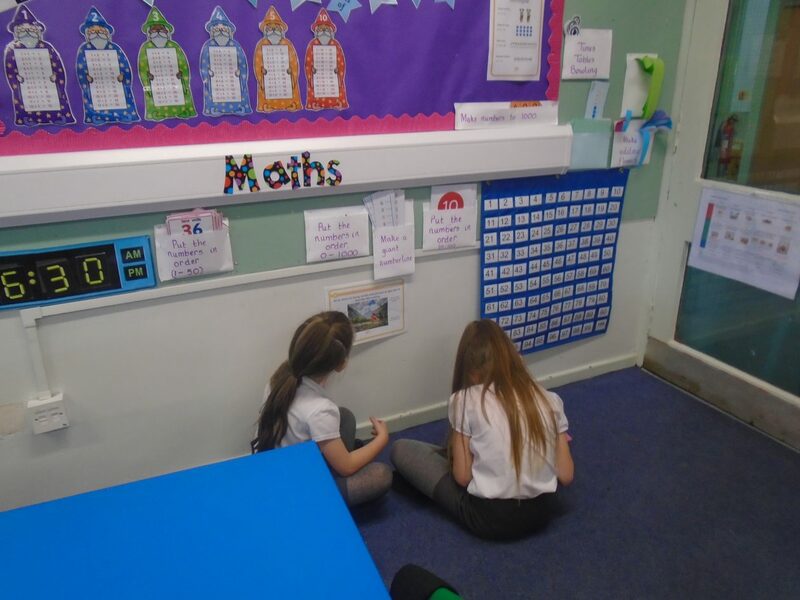 We looked at the pictures of different settings and we thought about how we would describe them. We wrote notes and checked we had included good adjectives. We used our notes to write about one of the settings.